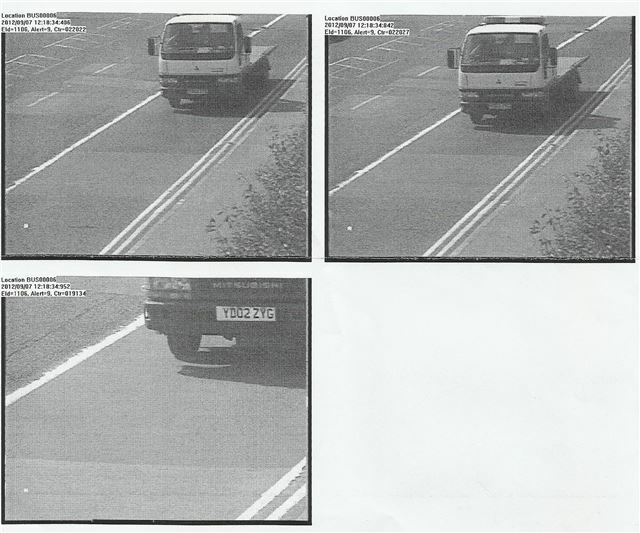 In a prosecution that vividly illustrates the fallacy of relying on ANPR data, the keeper of a 49cc Piaggio moped has been charged with driving a Mitsubishi Canter truck in a bus lane. From the photograph of the truck and the V5 of the moped they both seem to share the same registration. But, displaying a lack of care amounting to gross negligence, the clerks processing the prosecution relied on a glance at the registration alone and completely failed to check the type of vehicle it relates to. In fact, a quick insurance check reveals YD02 ZYG to be a MITSUBISHI CANTER 35, so the cross eyed clerks have misread the plate. Motorists who are victims of cloned or mistaken registrations face a massive uphill struggle convincing prosecuting authorities that their vehicle was not the vehicle photographed committing the offence. Most authorities subscribe to the ludicrous arrogance that if a registration is photographed then the registered keeper is automatically liable. This ridiculous persecution needs to be stopped. At the very least, every ANPR photograph needs to be carefully checked against the vehicle details it relates to. But that will not stop cloners cloning the registration of an identical vehicle. And this is rife because the laws governing the manufacturing of registration plates are simply not enforced. The innocent are being proved guilty by a faulty system not fit for purpose. The 'ZTG' part actually looks like ZYG to me! Anyone else agree? Blow up the picture of the truck and the registration is YD02 ZYG. Looks like a rusty old bolt in the last Y. You're right, guys. A quick check shows YD02 ZYG to be a Mitsubishi Canter truck. HJ - Out of interest - has anyone told the owner of the moped about this mistaken identity? I hate to think the owner has been / is about to be prosecuted for this now that the mistake has been pointed out. Looks like a Y to me too. I suspect the people checking these things are on a bonus scheme so there is no incentive to take too long on checking vehicle type etc, thats how it should be though. You have to love the enforcement of using the new font because it is so mush clearer and easier for the ANPR systems to read. Clear evidence here ... a great leap forward by the DVLA some years ago. Now, how many older folk remember when they could recall number plate details quite readily back in the old days and can hardly spot more then maybe the year digits (whatever they are) today?